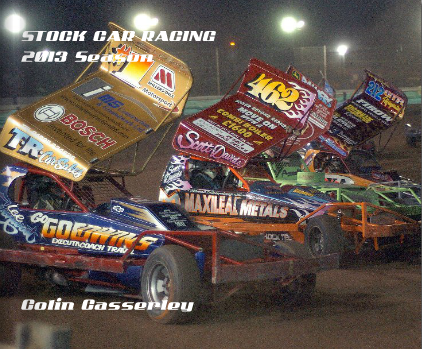 A couple of new books about the great sport of F1 stock car racing are now available. The sport’s number 1 photographer, Colin Casserley, has produced this photo review of the 2013 season, featuring over 500 photos over 120 pages. Order it from the publisher’s website. There is also a comprehensive history of the sport, documented by the official F1 historians Guy Parker and Nigel Anderson. 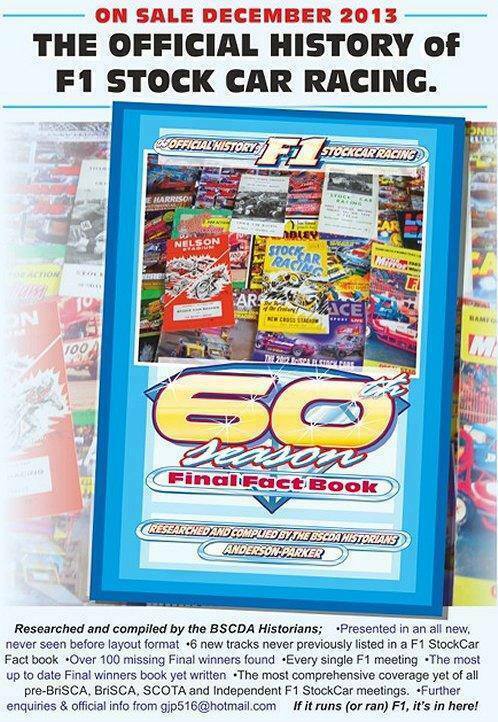 Covering the entire history of the sport and for the first time, a full list of every F1 final winner ever, including pre-BriSCA and SCOTA. For full details and ordering information, contact Guy Parker on gjp516@hotmail.com.